NECAD was set up and accredited by the CNPq in 1995. It develops research and extension activities around the theme of children, adolescents and families, from social policies to the professional intervention of social workers in these areas. NECAD has a partnership with the Research Center on Children and Adolescents (NCA) from the Graduate Program in Social Work of the Pontífica Universidade Católica de São Paulo (PUC-SP) and cooperates with the Gender Relations and Family Center of the Universidade do Estado de Santa Catarina – UDESC. The center actively works in the implementation, control and evaluation of public policies through representation in the Santa Catarina Work Group of the National Plan for Promotion, Protection and Defense of the Rights of Children and Adolescents to Family and Community Life. In addition, it has been a reference for the training of professionals working in the fields of families, children and adolescents. Lines of Research: Children, Adolescents and Families; Social Policies and Professional Intervention; Education, Citizenship and Rights; Family: Family Violence and Public Regulations. NESPP was set up in 1995 and is accredited by the CNPq. Considering the nature of Social Work, the impact of the studies developed within this Center is felt in three dimensions: 1) knowledge production about the state and civil society within the framework of rights and public social policies in Brazil and other Mercosur countries; 2) professional action through assistance and consultancy; 3) strengthening of organizational forms of civil society involved with the struggles in defense of social rights and the expansion of the public sphere. Lines of Research: Inequality, Poverty and Social Protection; State, Civil Society and Social Security; Education, Professional Practice and Social Policies; MERCOSUR, Borders and Social Rights. NUSSERGE, accredited by the CNPq since 2000, addresses themes involving relations of gender, generation, class, race/ethnicity and their settings within social issues. NUSSERGE integrates the UFSC Gender Studies Institute, responsible for editing the Estudos Feministas journal and organizing the International Seminar Fazendo Gênero, two of the most relevant spaces for dissemination of the intellectual production on gender in Brazil and abroad. It also integrates a network of professors and social workers who work in various higher education institutions in Brazil, interacting in theoretical-methodological issues and participating in coordinated roundtables or symposia in various academic events. The Center has a seat in the Women’s Forum of Florianópolis and in the Municipal Council for the Defense of Women’s Rights. Lines of Research: Sustainable Development with a Gender-Oriented Perspective; Rural Women Workers; Gender, Generation and Sociability Networks; Identity-Building Processes; Gender Equality Indicators in Public Policies; Socio-Cultural Movements and Gender Policies; Intrafamily Violence. NESSOP was founded in 1992 and accredited by the CNPq in 2006. It is an academic space for social work research and practice that is ethically committed to the socio-political demands of social and community organizations in their projects for the construction and expansion of citizenship, the exercise of participatory democracy, and the articulation of social struggles for quality of life in the city. In this sense, the actions of NESSOP are aimed at strengthening civil society and its network of associations and social movements. By articulating teaching and research, NESSOP also seeks to develop pedagogical projects for Social Work education, research and construction of theoretical-operational knowledge, along with social practices and struggles and in the interface with other areas of knowledge. Lines of Research: Civil and Workers’ Associations; Culture and Politics; Social Work and Organizational Political Processes. NEPPI was accredited by the CNPq in 2002. It brings together studies on one of the problems that have increased interest in social sciences: the role and directions that technical knowledge and professions in the social field are taking in the context of the current institutional transformations. The main impact of the research carried out by the group is expressed in the following activities: (a) undergraduate and graduate teaching, with the participation of NEPPI researchers in courses whose focus is related to the central theme of the group; b) development of research projects focused on studying the relationship between professional practices and social institutions in the fields of health and the legal system; c) participation in the creation of interdisciplinary spaces for the analysis of specific issues, as would be the case of health professions, along with researchers from other academic units at UFSC as well as from other universities in Santa Catarina and in Brazil. In this context, the role played by NEPPI in creating and coordinating the Network of Socio-Cultural Research and Studies on Social Institutions and Professional Practices is particularly important. It has the participation of researchers from universities in Argentina, Brazil and Uruguay. Lines of research: Professions, Culture and Socio-Political Processes in the Legal Field; Professions, Institutions and Social Space; Risk, Culture and Society: the role of scientific/technical knowledge and professions in the field of health. The Center for Research and Studies on Labor and Social Issues in Latin America emerged from the dialog among PPGSS students’ and faculty’s investigations, especially within the “Social Issues, Labor and Human Emancipation” line of research. The objective of the Center is to develop studies on labor and social issues in the context of Latin America, guided by a critical and historical-dialectical understanding of social reality and relating them to the theoretical-methodological and ethical-political demands of Social Work. In addition to research studies, the center aims to carry out educational activities and scientific events for undergraduate and graduate students and faculty, as well as for the community in general. 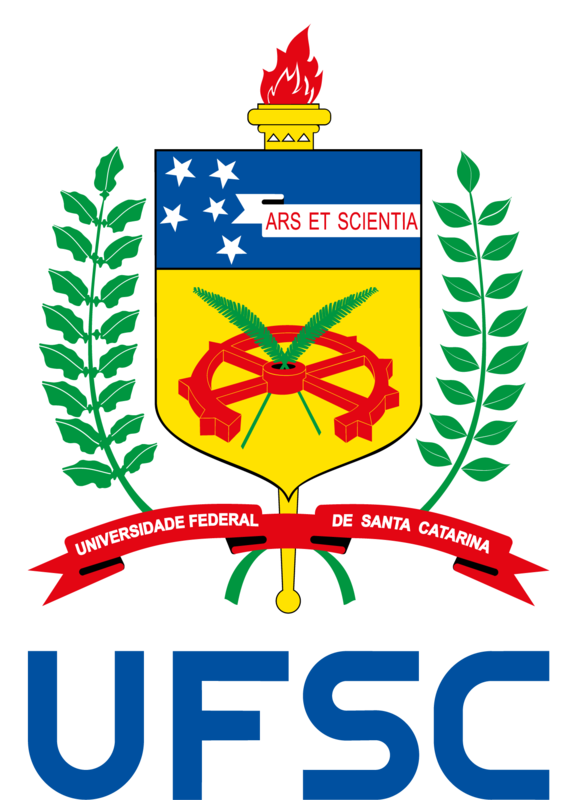 While developing its activities, NEPTQSAL seeks to establish partnerships with other research centers at UFSC and at other educational institutions, both in Brazil and abroad. NISFAPS brings together faculty, undergraduate and graduate students and professionals from different areas seeking to produce and disseminate knowledge on the theme of social policy and family. Nowadays, social policies and their interfaces with themes such as family, labor and demographic aspects have attracted the interest of researchers who wish to contribute for the qualification of professional interventions performed under such policies. The goals of the center are: (a) to conduct interdisciplinary research on various aspects of social policy and their consequences within families and society; and b) to promote extension activities related to social policy and its interfaces with family. Doing research on social policies (e.g. health and social care policies) and their relations with families, labor and services require multiple perspectives, sought in various fields such as: social work, economics, social sciences, nursing, psychology, among others. In addition to interdisciplinary initiatives, NISFAPS has conducted research activities and events with other research centers and groups from universities such as PUC/SP, UEL and UFPI. Social Work has been going through an undeniable theoretical-methodological development nowadays, as recognized by the significant amount and quality of research and publications. It has also been going through an ethical and political growth as it presents a critical perspective founded on the historicity of the social relations of production in current capitalist societies and in the defense of social rights. As in other areas of knowledge, the achievements and professional responses are challenged as a result of society’s movements and needs. This is the starting point of GEPSS: to rebuild theoretical and political paths, departing from an issue that lies within Social Work per se. This does not mean to avoid outer issues, but rather to explore them further as a field of knowledge, in order to assert and consolidate a dialog with other fields. This position implies recognizing a central problem in the group’s studies and research.